When I make knots, it's usually not a pretty sight. That's why I really admire micro-macrame artisans like Sherri Stokey who not only knot prettily but incorporate a considerable wow factor. Just check out her Etsy store, Knot Just Macrame and you'll see what I mean. The macrame work popular in the 1970's has certainly come along. The finer technique using thinner C-lon cord makes for intricate and beautiful designs. 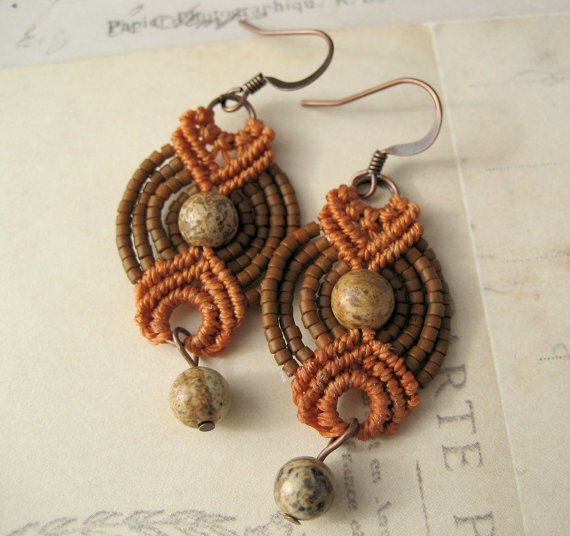 Sherri has a wonderful ability not just to add beads to her micro-macrame technique but she also includes focal beads. 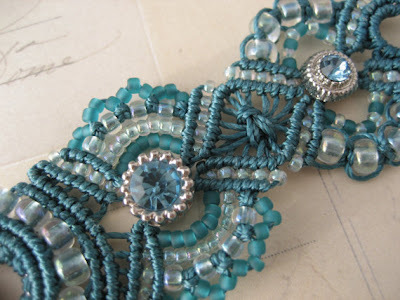 Sherri also has great tutorials and macrame kits. 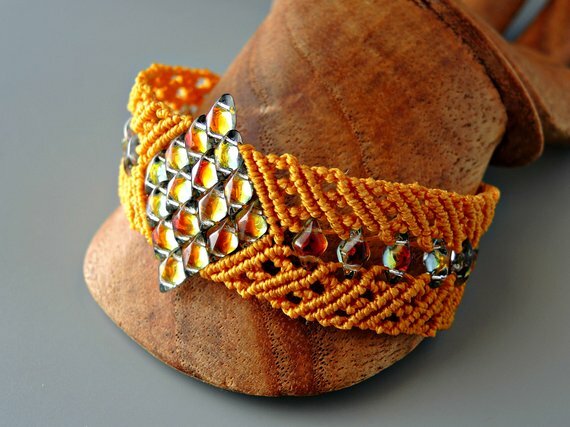 Doesn't this self-confessed jewelry junkie do wonderful work? Yes, Pearl, she really does some amazing things! I tried macrame the first time it came around and really didn't have the patience for it, so I really admire anyone who can do it. But this artist does it very, very well. Love her stuff!!! WOW ! Really beautiful work. Thanks for bringing it to us Pearl. I remember doing macrame for friendship bracelets as a kid, and while I've been absorbed in far too many different methods of jewelry making, I've been wanting to return back to macrame for about a year now. This work here is very inspiring and I couldn't even imagine how beautiful it truly can be! Now I want to start trying my hand finally! Maybe I'll try it with some of the yarn I've been spinning lately! 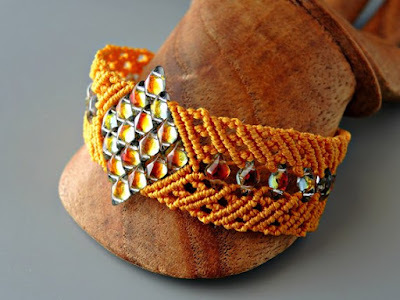 Beautiful designs and colors! I love them so much, I just bought one on Etsy. This is crazy-beautiful. 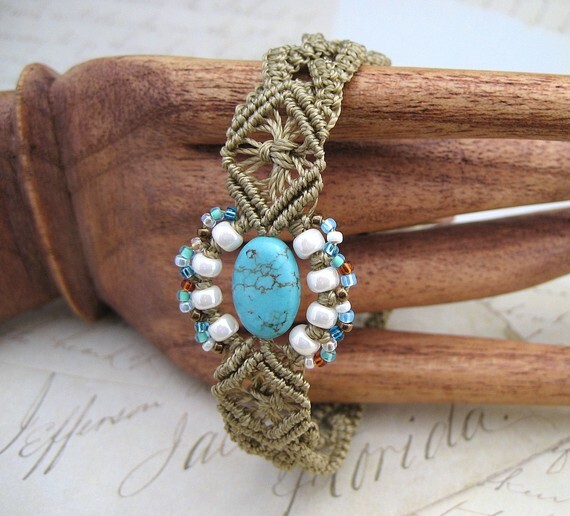 I'm one of those who DIDN'T do macrame in the '70s, but am itching to try, since I think it complements the kumihimo work I do now. 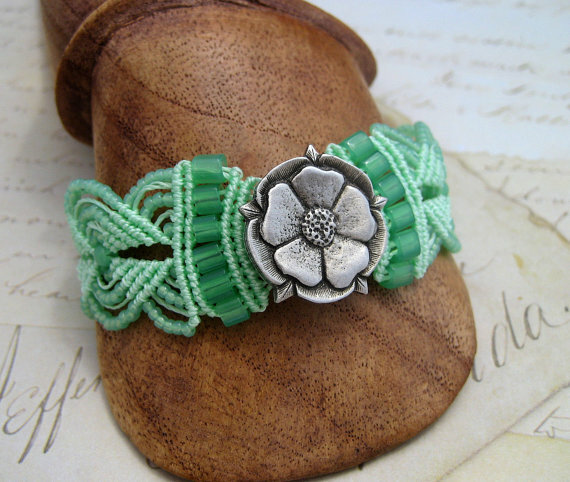 What an inspiration Knot Just Macrame's work is. This is some amazing work. Really beautiful designs. I bought some macrame but haven't tried it yet, it's still just sitting there with my list of things to try. 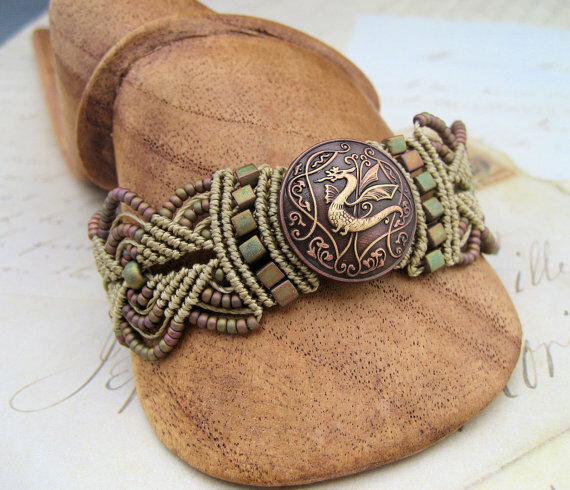 I really love the Dragon Bracelet. On my first look, a lot of what I thought was beads was really just perfect knots. Truly amazing. I used to love macrame. I have everything I need so I really should give it a try. Beautiful pieces. 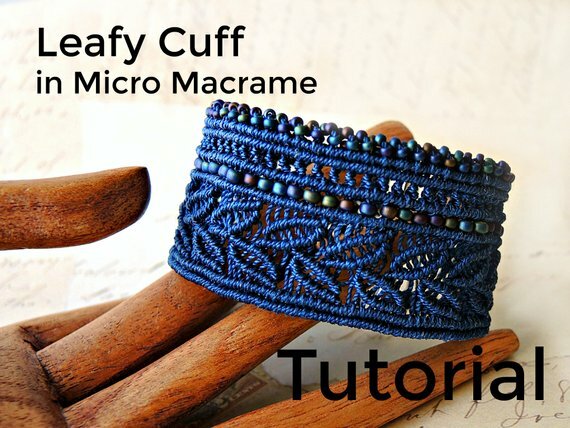 After being involved in a macrame fundraiser I have really fallen in love with the craft. I have read our new macrame knots tutorial like 5 times lol. Macrame obviously catches people's attention by the number of comments on this post already! She does incredible work. I know I don't have the patience or talent for that sort of work!